As the world-leading polystyrene processor and French leader on the EPS moulded item market, we simultaneously factor in performance and growth to always offer more sales expertise. In 30 years, we have developed our know-how in the various technologies associated not solely with packaging but also with the manufacture of technical parts. 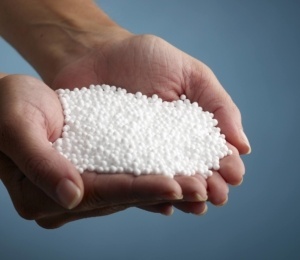 On the back of our expertise in processing expanded plastic resins, such as expanded polystyrene, we now provide services for particularly demanding industrial sectors. The diversity of our production processes enables us to choose the best for your products. 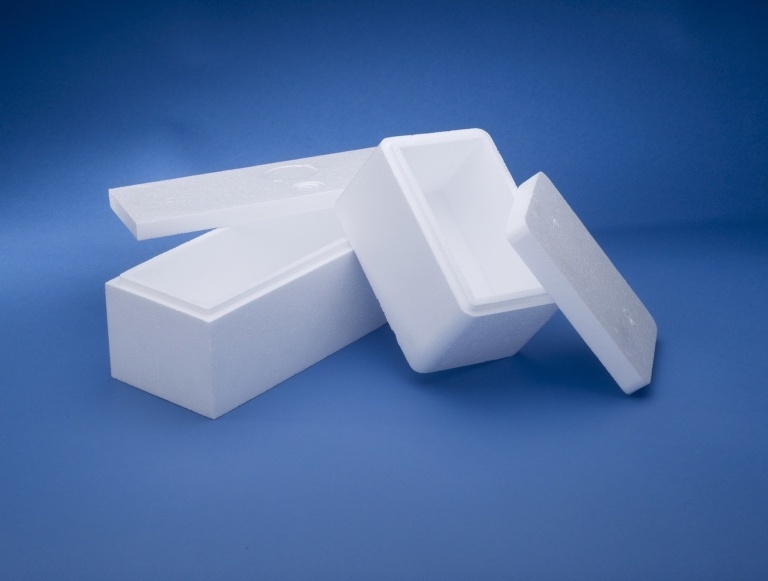 Expandable polystyrene, our raw material, is manufactured in part by Knauf in Belgium. It is obtained by polymerising styrene and an expansion agent: pentane. In our factories, it undergoes pre-expansion, a decisive phase in the moulding process. Under the effect of steam, the expanded beads then grow by 50 times their original volume and develop a closed-cell structure made up of 98% air. Block moulding makes it possible to manufacture parallelepipedal items. These “blocks” are subsequently machined in our cutting workshops to manufacture protective stays, decorative products or prototypes. Besides being customisable, our tools are “mobile” within our facilities. Their adaptability to a large number of machines makes it possible to envisage rapid transfer of production. The diversity of our equipment (vacuum equipment, transfer and film complexing) allows us to adapt our production according to the complexity of your products. Complexing helps enhance the mechanical behaviour of the closed-cell foam object, by increasing its rigidity and making it more watertight.